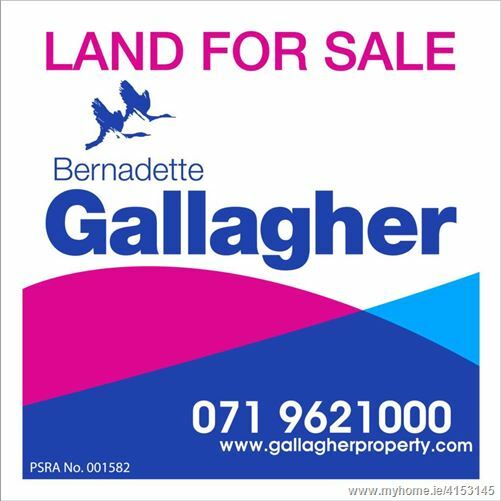 or Sale at Corlough, Drumshanbo. •	2.75 ha. (6.79 acres) for sale on Northern edge of Drumshanbo. •	Zoned for `Enterprise and Employment` in the current county development plan and with lapsed permission for 25 dwellings. •	Close to Water Sports centre, Lough Allen Resort Hotel and an Equestrian Centre. Given its zoning designation, location and planning history, this property provides an investor with a low-risk opportunity to realise a healthy return on investment as the economy continues to recover.